Written by Carson Ting. Posted on November 10, 2017. Filed under Press, Blogging. Tagged adcc, advertising & design club of canada, webbys. Comments Off on 2017 ADCC Silver Award winner. Film & Animation category for the Webbys..
Another Communication Art’s win for our tiny studio! Written by Carson Ting. Posted on May 2, 2017. Filed under Press, Blogging. 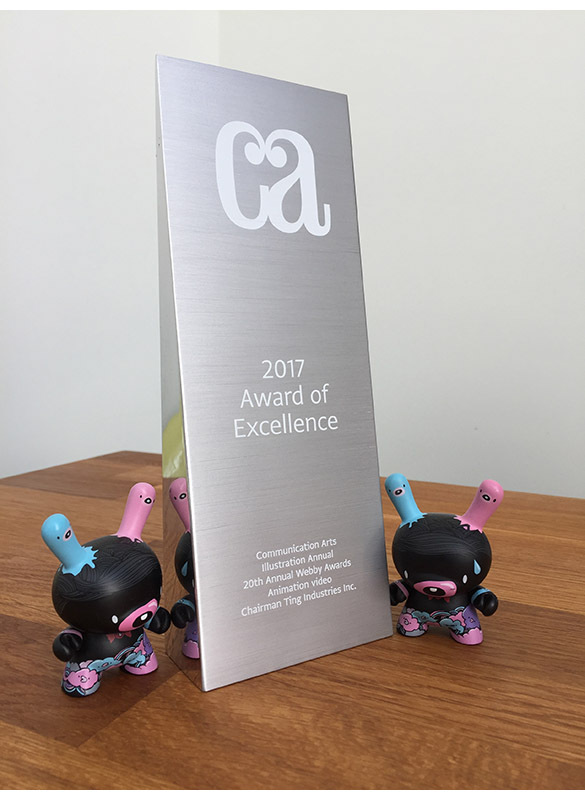 Tagged 2017, awards, communication arts, webbys. Comments Off on Another Communication Art’s win for our tiny studio!. Our illustration work for The Webby Awards was selected as a winner for this year’s CA’s Illustration Awards!